Are you looking to add Coupons functionality to your WordPress site ? You can do so by adding any one of the many WordPress Coupon Plugins available, but which coupon plugin is the best for your needs ? Coupon plugins are very useful in turning your WordPress into a coupon or deals website. For an e-commerce company, deals and coupons are a medium to attract customers. The customers tend to buy more products when discount deals are offered. WordPress coupon plugins are used to increase user engagement and earn loyalty. This article is a guide to create best coupon website. Coupon Creator is one of the best WordPress coupon plugins. It allows you to create your own coupons or upload an image of the coupon. Then it will be displayed on the site using a shortcode. Moreover, you can categorize a coupon with the help of the loop option. The premium version of the Coupon Creator lets you change colors and style. By adding filters, coupons work in the sidebar text widgets. In case you need help, there is customer support available and detailed documentation like videos. JC Coupon Lite is a free plugin that is available from the directory of the WordPress. This plugin is simple and easy to use for the WordPress users. It allows them to edit, create and publish different styles of coupons. It is not necessary for the users to have the knowledge about coding. JC Coupon Lite offers a coupon management that can be included in your posts and web pages. The coupon is available in 4 colors. Another good WordPress coupon plugin is the Magic WP Coupon. It is available in free and premium versions. The Magic WP Coupon Lite is the free version of the plugin. It allows all the basic functions that are needed to control coupon campaigns. Furthermore, the recent version of the plugin supports widgets and nearly every WordPress theme. Along with this, it helps you in tracking the number of clicks and impressions made by the user. On the other hand, the premium version offers a dedicated support, cloaked URLs, detailed reporting and much more. The consumers can easily browse, search and use the coupon codes when buying products. WPS coupon management provides you complete functionality to handle discount coupons. It allows you to set the expiry date for the coupons. Apart from this, it provides you features like custom coupon code placement or auto coupon code generation. This plugin offers you an easy coupon management with auto scroll coupons loading view at the front. Coupon reveal is a premium plugin that has plenty of features such as simple layout, powerful control panel, different color options. You can add eye-catching coupon code widgets to your site. This plugin gives you the full control of managing the coupon data. It provides 3 different ways to display your coupon. 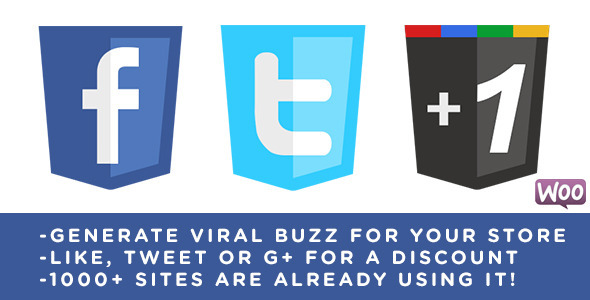 Viral Coupon is a premium WordPress coupon plugin. It helps you in increasing the performance and social engagement of your website. Moreover, it lets you add and mange coupons. It locks every coupon with a specific social sharing buttons which is required to gain access. If you share interesting coupons, the user are going to share your deals. It supports WooCommerce extension as well. The Coupon Code plugin offers coupon codes that cannot be copied without the visiting your affiliate link. This WordPress coupon plugin lets you add coupon codes to your posts that results in boost in you conversions. The premium version of the plugin offers more features. Another commonly used WordPress coupon plugin is VoucherPress. This plugin allows you to create a voucher, choose the layout and fonts. The vouchers can be viewed, downloaded and printed. The unique feature that this plugin provides a way to give downloadable, printable coupons in pdf format on your website. This WordPress coupon plugin offers simple features which help you operate a simple coupon website. It does not provide plenty of features. But with the help of simple tools you can handle your site easily. You can share promotion codes, coupons and even API keys. 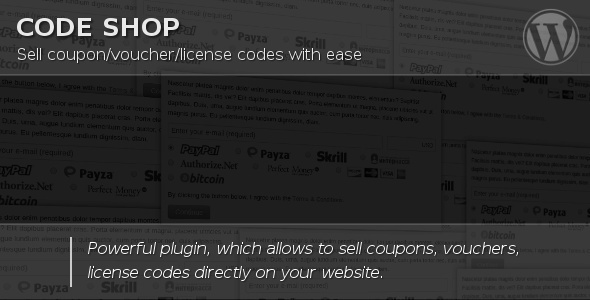 This plugin allows you to sell coupon codes directly on your site. This manages payments through multiple payments gateways. It can be easily integrated into WordPress pages through shortcodes. This is an easiest method to distribute coupon codes on websites. 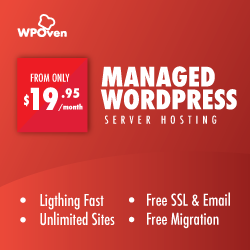 With plenty of WordPress coupon plugin on the market, selecting any one is a challenging task. Some of the plugins provides basic features while some plugins assist in structuring your site. Hope this guide has benefited you and helped you decide a coupon plugin. If you have any suggestions, please leave a comment in section below. You’ve just found the best coupon clipping service around! help you save money on groceries and the household items you use every day. Can I just say what a aid to seek out somebody who actually is aware of what theyre talking about on the internet. You definitely know learn how to convey a problem to light and make it important. More individuals must learn this and understand this side of the story. I cant consider youre no more common since you definitely have the gift.